The year in wearable tech got off to a roaring start as Vuzix and XOEye Technologies got together on a major new commercial rollout of smart glasses systems. The duo got together with heating and cooling company Lee Company, and this was a deal that meant quite a bit of advance for all three firms. 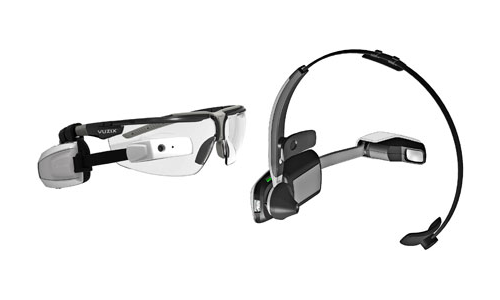 Lee Company is set to receive—the order has been shipped, at last report—a set of 500 Vuzix M100 Smart Glasses, pre-loaded with XOEye's line of custom applications. Lee Company, a name well-known in heating and cooling as well as appliance and facilities solutions, will be putting the M100s to work with field crews as well as some internal users. With the M100s, reports note, users will be able to not only engage in real time communications, but also add video-to-electronic service tickets to the roster, making operations smoother and more transparent for better customer experience. Data gathered in the field is also able to more readily become part of Lee Company's library of topics on service support. This allows potential patterns to be more readily spotted, as one field technician's one-in-a-million shot becomes another's coincidence, and so on until a pattern is established. With virtual reality set to become an actual reality this year, it's not a surprise that augmented reality seems to be going the corporate route instead. This is a big loss for drivers—regardless of safety concerns, augmented reality mapping is still a great option in cars—but a big gain for businesses. Field technicians can receive up-to-date schematics about most any device around, and even overlay these schematics against what's seen in the real world. That makes it particularly useful for field staff, and throwing in the real time communications and other options just adds icing to an already palatable cake. It's useful for Lee Company, who has these elements in the field, but for any other business with a similar need for field staff, video glasses can be a huge part of the lineup. If Lee Company demonstrates the value of such devices, it's more likely that other companies will join in and buy. This may be the start of something big for Vuzix and XOEye, and maybe, wearable technology will take a whole new prominence in business use.